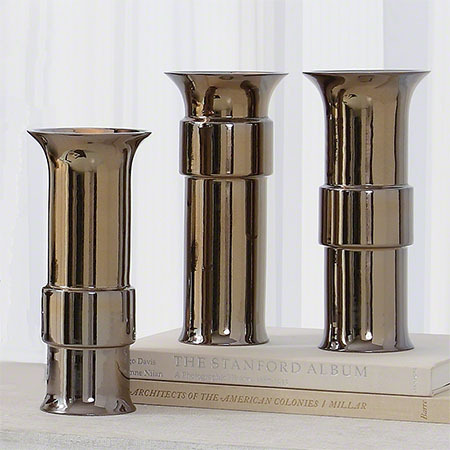 A miniature version of the Collar Vases which embody elegant classic silhouettes. An intricate crackle can be seen through the Metallic Bronze Reactive Glaze. The collar appears in three positions. Choose high (SKU RT8.10038), mid (RT7.10039) or low (RT7.10040). Made of fine Portuguese ceramic.